EXCERPT: "...Although Muslim jurists debated political systems, the Qur’an itself did not specify a particular form of government. But it did identify a set of social and political values that are central to a Muslim polity. Three values are of particular importance: pursuing justice through social cooperation and mutual assistance (49:13; 11:119); establishing a non-autocratic, consultative method of governance; and institutionalizing mercy and compassion in social interactions (6:12, 54; 21:107; 27:77; 29:51; 45.20). So, all else equal, Muslims today ought to endorse the form of government that is most effective in helping them promote these values. Several considerations suggest that democracy—and especially a constitutional democracy that protects basic individual rights—is that form. My central argument (others will emerge later) is that democracy—by assigning equal rights of speech, association, and suffrage to all—offers the greatest potential for promoting justice and protecting human dignity, without making God responsible for human injustice or the degradation of human beings by one another. A fundamental Qur’anic idea is that God vested all of humanity with a kind of divinity by making all human beings the viceroys of God on this earth: “Remember, when your Lord said to the angels: ‘I have to place a vicegerent on earth,’ they said: ‘Will you place one there who will create disorder and shed blood, while we intone Your litanies and sanctify Your name?’ And God said: ‘I know what you do not know’” (2:30). In particular, human beings are responsible, as God’s vicegerents, for making the world more just. By assigning equal political rights to all adults, democracy expresses that special status of human beings in God’s creation and enables them to discharge that responsibility..."
EXCERPT: "...It is fair to say that no one is exactly sure what defines an Islamic state. There is no question that the Prophet Muhammad founded a city-state in Mecca and Medina and their vicinity. Many Islamic activists imagine that the Prophet's city-state can be transplanted into the context of the nation-state without any substantial difficulty. This, however, is an illusion. The challenges posed by the modern nation-state have led to a wide range of portrayals of the nature and function of the modern Islamic state, with some claiming that it is a democracy, a theocracy, or a state based on the rule of the juris-consuls. Someone like the late Indo-Pakistani Abul A'la Mawdudi tried to invent a hybrid system that is neither a theocracy nor a democracy, which he called Theodemocracy. Other activists insist that an Islamic government is based on a shura system, which is inherently vague because shura, although commanded by the Qur'an, simply means consultation. While I will not attempt here to define an Islamic state, I do believe that the system of governance that is most consistent with the ethics and principles of Islam is one founded on constitutionalism. It is a state founded on the idea of respecting basic individual rights that should not be compromised or violated by the state. 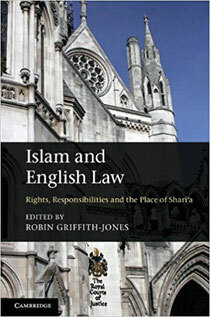 The challenge is to create the institutions that are capable of safeguarding the basic rights of human beings..."
Chapter: “Violence, Personal Commitment, and Democracy,” in Islam and English Law: Rights, Responsibilities and the Place of Shari‘a, ed. Robin Griffith-Jones (Cambridge: Cambridge University Press, 2013). EXCERPT: "...The reality is that Islamic normative values, which are a part of the living tradition of Shari‘a, already exist in the collective consciousness of Muslims. As such, religious values already occupy a prominent public space in Muslim cultures. Any theoretical or legal framework that fails to tailor itself to the complex reality of these cultures, and carefully to negotiate between the inherited tradition and the normative commitments necessary for democracy and human rights, will do more harm than good. Democracy and human rights cannot be achieved without normative commitments at the individual and societal levels. 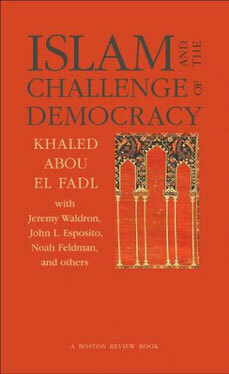 It is the duty of Muslim intellectuals to do the cumbersome and toilsome task of persuading their co-religionists that a private and public commitment to democracy and human rights is also a commitment to Shari‘a, and also that in the contemporary world a commitment in favour of Shari‘a is best realized through a commitment to democracy and human rights..."
“The Centrality of Sharī‘ah to Government and Constitutionalism in Islam” in “Constitutionalism in Islamic Countries: Between Upheaval and Continuity,” eds. Rainer Grote and Tillman Roder (Oxford: Oxford University Press, 2011). EXCERPT: "...Constitutionalism reflects embedded normative values that arise from evolved historical practices that are not easily transplanted outside their natural habitat. In many ways, constitutionalism must be practiced and not theorized. Therefore, it is doubtful whether it is helpful to abstract the doctrines of constitutionalism from their remarkably diverse cultural and social contexts. When speaking of constitutionalism and Sharī‘ah, one must be concerned that not only are we dealing with idealistic abstractions but that we are falling prey to an anachronism. "This, however, does not invite to abandon all attempts at constructing a coherent discourse on constitutionalism and Sharī‘ah; it only requires to be mindful of the limits of abstractions that are not backed up by a history of cultural practice. Constitutionalism is a political tradition more than a theory of government. Constitutionalism gives expression to or appropriates normative values generated by a historical practice and tradition. But in the same way there are traditions of constitutionalism, there are also traditions of terror, tyranny, or personalized rule. Normativities generated by Islamic doctrines could possibly support or promote practices consistent with constitutionalism or tyranny. 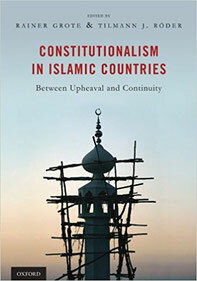 To the extent that Islamic doctrinal normativities legitimate or promote particular traditional practices, one can argue that these normativities could potentially support or undermine a constitutional tradition. Consequently, this article will focus on potentialities – i.e. the doctrinal aspects in Islamic political thought that could legitimate, promote, or subvert the emergence of a constitutional practice in Muslim cultures. These doctrinal potentialities exist in a dormant state until they are co-opted and directed by systematic thought supported by cumulative social practices. This article will focus on doctrinal potentialities or concepts constructed by the interpretive activity of Muslim scholars (primarily jurists), but will not focus on the socio-political practices in Islamic history. In addition, this article will not seek to identify contemporary efforts at systematic thought and practice that attempt to develop or give effect to these tradition-based potentialities..."
“Islam and the Challenge of Democratic Commitment.” Fordham International Law Journal 27, no. 1 (December 2003): pp. 4 – 71. EXCERPT: "...The question I deal with here is whether concurrent and simultaneous moral and normative commitments to Islam and to a democratic form of government are reconcilable or are they mutually exclusive. I will argue in this article that it is indeed possible to reconcile Islam with a commitment in favor of democracy. 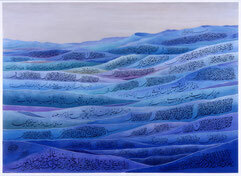 In this article, I will present a systematic exploration of Islamic theology and law as it relates to a democratic system of government, and in this context, I will address the various elements within Islamic belief and practice that promotes, challenges, or hinders the emergence of an ideological commitment in favor of democracy. 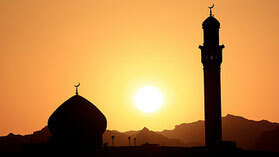 In many ways, the basic and fundamental objective of this article is to investigate whether the Islamic faith is consistent or reconcilable with a democratic faith. As addressed below, both Islam and democracy represent a set of comprehensive and normative moral commitments and beliefs about, among other things, the worth and entitlements of human beings. The challenging issue is to understand the ways in which the Islamic and democratic system of convictions and moral commitments could undermine, negate, or validate and support each other. At the outset of this article, I make no apologies for my conviction that separate and independent commitments in favor of Islam and in favor of democracy are morally desirable and normatively good. The problem is to facilitate the co-existence of both of these desirable moral commitments and, to the extent possible, to guard against a situation in which the one challenges and negates the other. As discussed below, in my view reconciliation, and perhaps cooperation, between Islam and democracy is challenging but absolutely necessary..."